The life of an entrepreneur is not much different from a roller coaster ride, rife with bumps and extreme elevations. Gennady Barsky, the New York-based entrepreneur, is a witness to the highs and lows that follow an entrepreneurial foray. He was born in a humble household in Kishinev, Soviet Moldova. Later, at the age of 10, he and his family moved to San Francisco, California. The rest is history. A few days ago,I interviewed Mr Barsky. He had a lot to tell about his career and life in general. Interviewer: Hello Mr Barsky, thank you for taking out a part of your busy schedule for this interview. GB:I appreciate this interview, thank you. Interviewer: Let’s start the interview, shall we? There’s a lot I’d like to know aboutyour inspiring life. I mean, it’s surprising how you eased into the American society in your early years, andgrew up to be a successful entrepreneur. GB:*smiles* Yes, it was difficult at first, but I worked hard to avoid the handicap. My school and my parents helped me a great a deal;even the cartoons helped me understand the local culture and language. It seems Gennady Barsky realized he was a dynamic child.As he explained, it didn’t take much for him to integrate to the local American society. Since his parents had a special work permit, he managed to work as a paper boy and earn a modest income. What he earned was invested in a bike that eased his work. Mr.Barsky’s talent for innovation and out-of-the-box ideas earned him recognition at his almamater, the Northgate High School at Walnut Creek, California. In high school, he built a full fiber optic network with the help of his schoolmates. This feat is extraordinary,because it was an early 90s project, when the Internet was still evolving. GB: Our school had full fiber connectivity and a T-1 line. Every classroom was connected. In fact,our school was recognized in March, 1996 by the then POTUS Bill Clinton and Vice-President Al Gore. Gennady Barsky was also awarded the Bank of America Achievement Award for his outstanding academics. It was presented by David A Coulter, a well-known American banker who served as the President and Chief Executive Officer of Bank of America at the time. Interviewer: How was life at home like? Were your parents proud of your achievements? GB: My parents and my brother were really happy with my achievements, and what I was doing at school. They always taught me to work twice as hard and not get caught in the hubris of my success. Uh, my father is an Engineer from Russia and my mother worked for a prominent foundation, which I think inculcated a tech-savvy environment at home. Interviewer: I am sure that tech-savviness helped you in your future endeavors. GB: It did, I was able to start my first company after high school. It was called ‘Rates.com’. It was the first real estate and online banking site available in 1996. My experience as a consultant at Charles Schwab & Co during my high school years assisted me in running Rates.com until the dot com bubble. Interviewer: Did you leave rates.com? GB: Yes, I wasn’t interested in it anymore because of the dot com bubble. Websites about everything and anything were booming everywhere. I wanted to do something new and innovative, better than my previous venture. I started a digital security company called ‘Authernative’, and it was platform for secure mobile payments and encrypted communication. Interviewer: There were not many security companies back then. Was it successful? GB:Yes, a very few companies flew in that direction, and yes,the project did very well from the intellectual point of view. However, the company was never fully capitalized to take on the giants. It’s because the team worked hard on this project. By the time I retired from that company in 2012, we had 47 granted patents around the world. Gennady Barsky’s choices present him as someone who loves doing new things and keeps his entrepreneurial path updated to the latest trends in the market. He worked in a few more investment ventures and a Florida-based lifestyle company. Trust and honesty is an important part of building a company. This is why he believes in building relationships first. 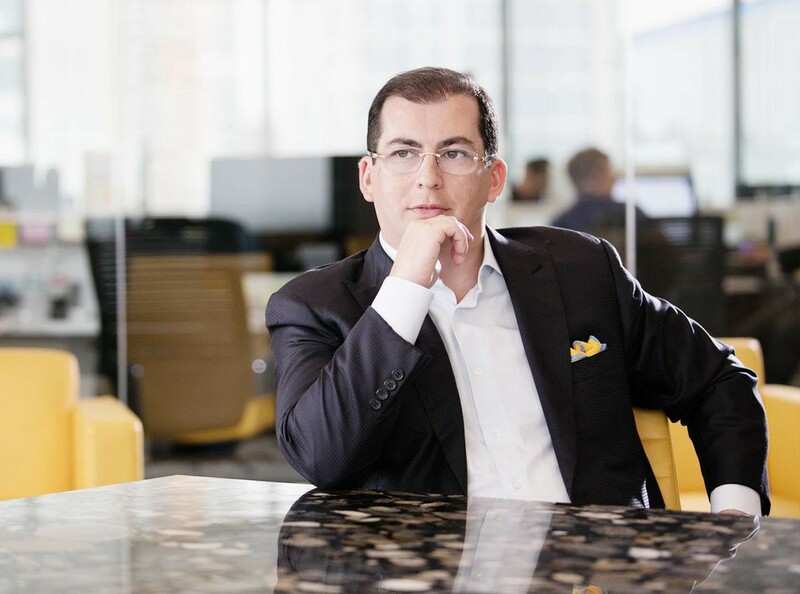 It has helped him create a global real estate portfolio that includes five global offices. Forbes says that eight out of ten businesses fail in their early stages. One of the main reasons is that they cannot differentiate their products from the rest of the market, and the lack of innovation. Gennady Barsky always looks for inventive approaches to solve a problem. His body language painted him as a calm and composed man, but at the same time, there was a spark of headstrongness in him. The following questions proved justified this feeling. Interviewer: What according to you makes a successful entrepreneur? GB: It’s always the work ethics. ‘The never give up on your dreams’ would be a rhetoric for this answer, but I think you should ‘never give up’. If you’re not feeling lucky for six days, I am sure the seventh day will be yours. An ideal entrepreneur should never succumb to pressure. This is why surrounding yourself with optimistic and hardworking people always helps. Never work with dishonest, snobbish, lying, and lazy people. They can prove to be a hindrance to the growth of the company, and your career as well. Interviewer: Is that the way to long-term success? GB: Almost, all of what I have said applies to the entrepreneur too. You can bid success goodbye if your newfound wealth and success corrupts you with hubris. Respect your peers and they will respect you back. Cheatingwill only mark you as a person who should not be trusted in the business world. Gennady Barsky had himself been betrayed by employees. He survived a smear campaign from bigshotaviation competitors who viewed his innovative initiatives as a threat to their monopoly in the market. Even after all the difficulties he has faced, Gennady Barsky keeps a perpetually calm attitude and is focusing on his future plans. Keeping the quality and service intact as the organization grows is important to its integrity. Mr. Barsky always emphasizes on the true core of the company, which has to be managed carefully and diligently. His belief in core values, honor and loyalty might look old school, but it’s integral to a successful company and a successful entrepreneur.